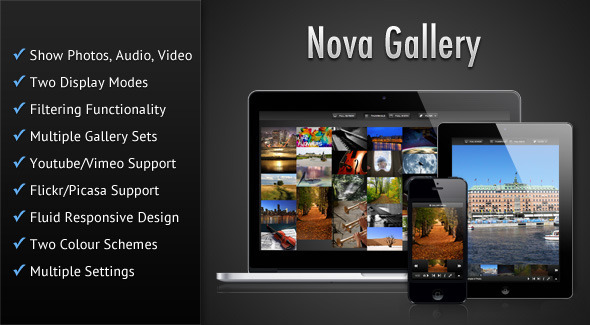 Video Feed is an extension or add-on for the Flow Gallery jQuery plugin. This extension allows you to pull feeds from Youtube, Vimeo and Dailymotion in order to build your gallery. All the settings of the Flow Gallery plugin can be used with this extension. NOTE: you need to have the Flow Gallery plugin in order for this extension to work. Pull videos from Youtube based on text search, user ID, or playlist. Pull videos from Vimeo based on user ID, album, or channel. Pull videos from Dailymotion based on user ID, channel, group, or playlist. Video duration, upload date and views are shown for each item in the gallery. Sort items based on their upload date, ratings, views, duration, as well as title. Filter videos based on the availability of HD version and being of long or short duration. Item titles and descriptions are pulled from Youtube/Vimeo/Dailymotion. Cache feed data for faster loading of gallery and prevent crossing API call limit. All settings/options of the Flow Gallery jQuery plugin can be used. 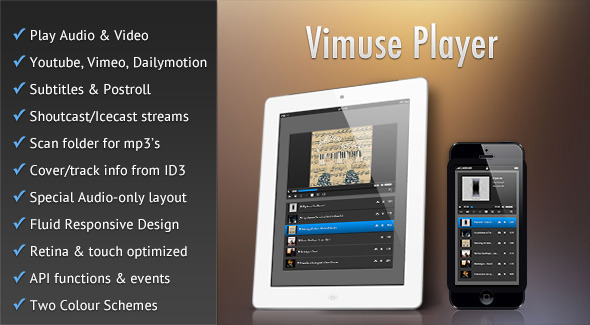 Choose between either – Youtube, Vimeo or Dailymotion feeds. Items can be sorted, using the Sort menu, by their upload date, ratings, views, duration, as well as titles. Items can be filtered based on the videos being either of long or short duration, and on the availability of HD version. Youtube feeds can be pulled based on text string, user ID, or a playlist. Option to specify the number of items to pull from Youtube. Vimeo feeds can be pulled based on user ID, album or channel. Option to specify the number of items to pull from Vimeo. Dailymotion feeds can be pulled based on user ID, channel, group or playlist. Option to specify the number of items to pull from Dailymotion. 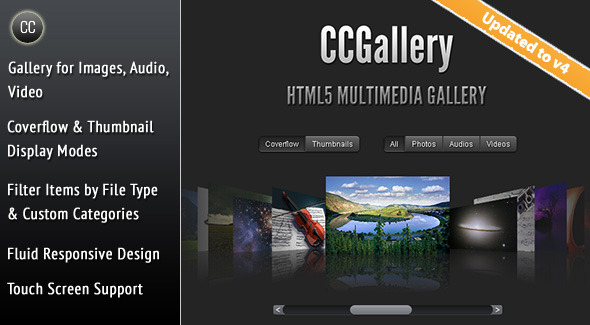 This is an extension for the Flow Gallery jQuery plugin, so you will need that plugin in order to use this extension. Only public videos are pulled from Youtube/Vimeo/Dailymotion. If you have any query regarding any feature of this extension before purchasing then please post your query in the comments section and I will get back to you as soon as possible.